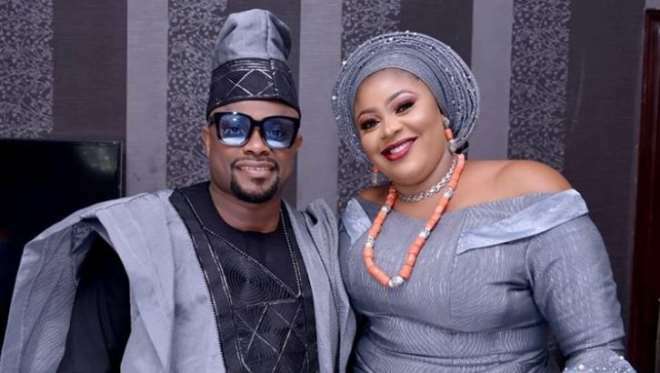 Nollywood actor, Imeh Bishop, is not just happy that he has a good career going fin for him but also that God blessed him with a good wife. He has never stopped gushing about his pretty wife and lovely children for one day as they have brought him so much joy. Well, they could not hide their happiness as God has brought their union this far as they celebrate their 5th year wedding anniversary. “This day, 5 years ago I made a choice of a partner to walk the rest of my life with. It was not to be ALL a rosy and smooth a walk in the park but so far with every inch of a step I make, I look back in satisfaction that I got this right. Thank you Jesus. Thank you my Deputy @mrs_imebishop Happy Wedding Anniversary to us,” he wrote.